The John Lewis Christmas campaign is leading the conversation on Twitter and dwarfing competitors in the race for eyeballs on YouTube and Facebook, with Marks and Spencer and Sainsbury's its closest rivals. A little over a week since the first major campaigns were launched, by Tesco and Morrisons, PRWeek has crunched the data to give you the latest scores on the doors. #BusterTheBoxer, for John Lewis, leads the conversation on Twitter, according to data from Brandwatch, which said it has generated 176,000 tweets since its launch last Thursday. It has also received a colossal 31 million views on Facebook and a further 15.5 million on YouTube, bringing total online views to 46 million. Marks and Spencer's James Bond-esque take, Christmas With Love, has generated 38,000 tweets since Friday but has also racked up an impressive 10.7 million views, split between YouTube and Facebook. Meanwhile, Sainsbury’s film 'The Greatest Gift', which went live yesterday morning before its first screening last night, has already generated nearly 16,000 tweets, while YouTube views stand at 2 million and Facebook views at 650,000, giving it a total of 2.65 million views. The Waitrose campaign, 'Home for Christmas', is a surprise hit, with its tale of a Scandinavian robin generating nearly 8,000 tweets since its launch on Sunday. However, the campaign has also received 1.5 million YouTube views and 5 million views on Facebook, giving it a total of 6.5 million. Kevin The Carrot, for Aldi, has also proved a hit with the public. Although there have only been a little under 2,200 tweets about the campaign since it launched on Monday last week, YouTube views are currently at one million and Facebook views are on 3.9 million, giving it a total of 4.9 million views so far. Next is Morrisons, which has garnered nearly 1,300 tweets and 132,000 views across Facebook and YouTube. 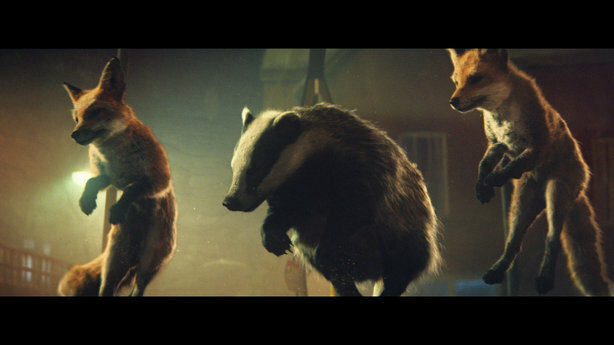 Bringing up the rear is the first of several Tesco’s Christmas films, ‘Bring it On', launched on 6 November. Brandwatch said Tesco's campaign had generated a little short of 1,000 tweets. However, it has fared better for views, with one million on Facebook and a further 22,000 on YouTube.